Often the first thing you learn to do in a new language is to display "Hello World", this lesson will show you how to do this in LiveCode. The mouseUp message is sent when the user clicks an object. When the mouseUp message is sent an object it triggers a mouseUp handler. All message handlers begin with the word on and the name of the message (which is also the handler's name), and all handlers end with the word end and the name of the handler. 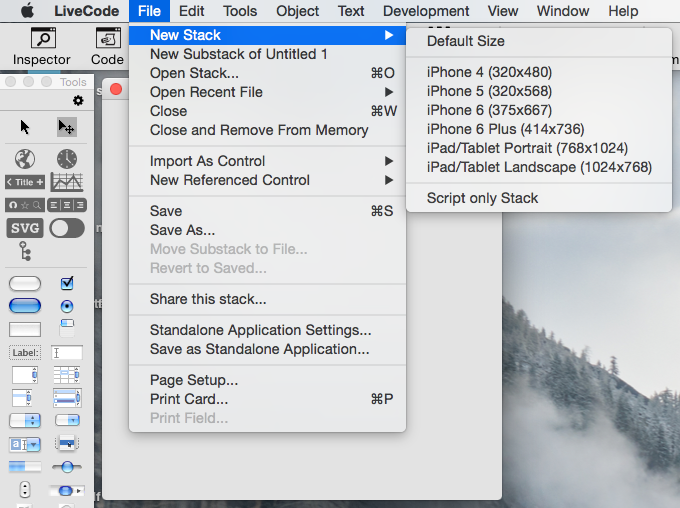 For this example we will create a new main stack from the File Menu. We will the add a button to the stack by dragging it from the Tools Palette(1). Select the button by choosing the edit tool (2) and selecting the button (3). The answer command displays a dialog box with the text you specify. When you click the button, LiveCode sends a mouseUp message to it. The message triggers the mouseUp handler, which displays a dialog box that says "Hello World!" 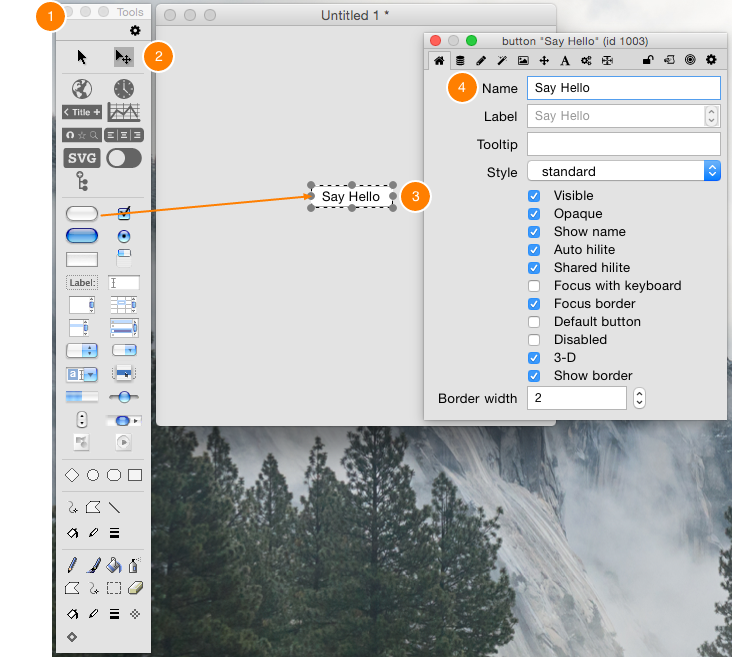 Open the script editor for the button by selecting Object Script from the Object menu. 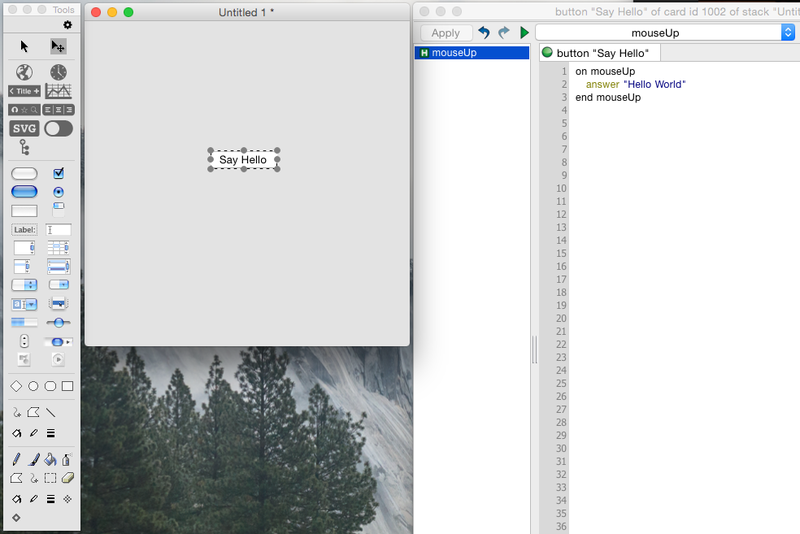 Then add the above handler into the button script and try it by clicking the button. You can display a message in a variety of ways. For example, in the LiveCode development environment, you can use the Message Box to show a message using the put command. put "Hello World!" into field "Message"
thanks. i needed this to start. just forgot my turbobasic skills from the 80's.